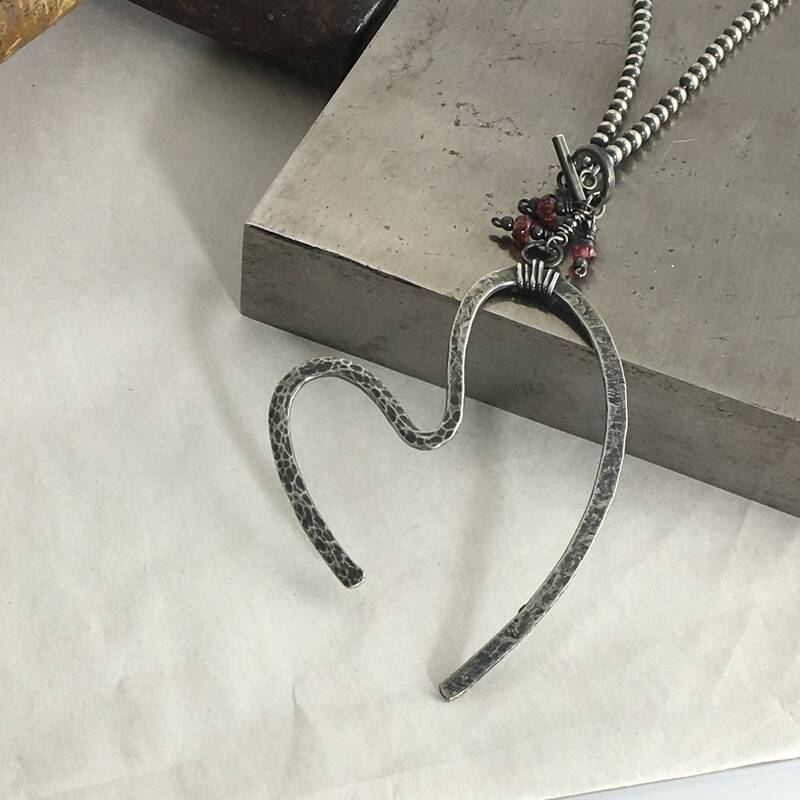 Wear this heart pendant artwork as a bold graphic statement with silver as calligraphy, metal as a surface for playful textured marks, and as a symbol of love and hope. 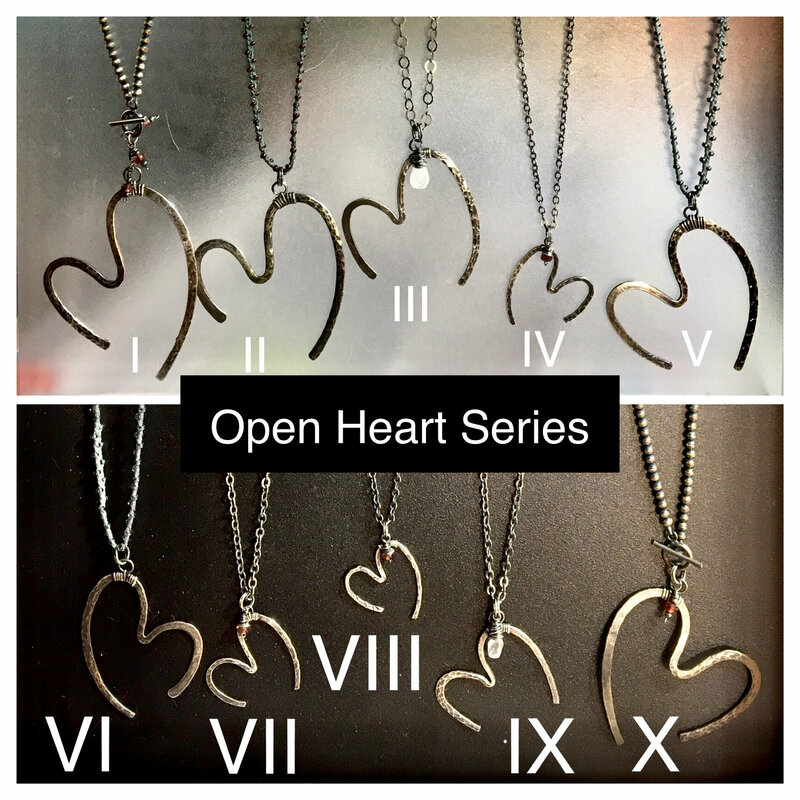 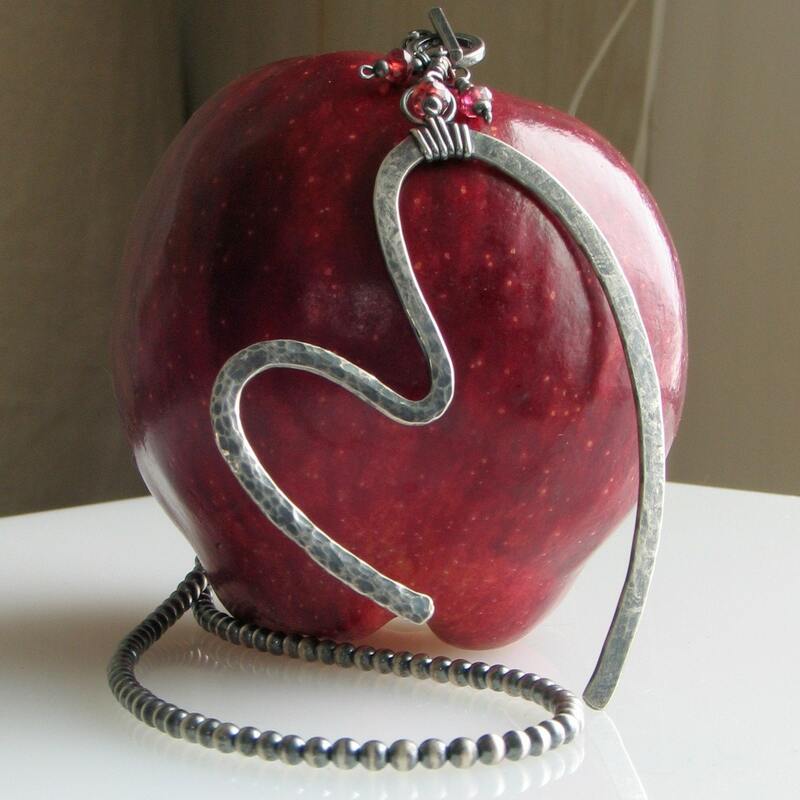 "Open Heart VIII" is a larger original hand forged sterling pendant that hangs from a handmade silver chain. 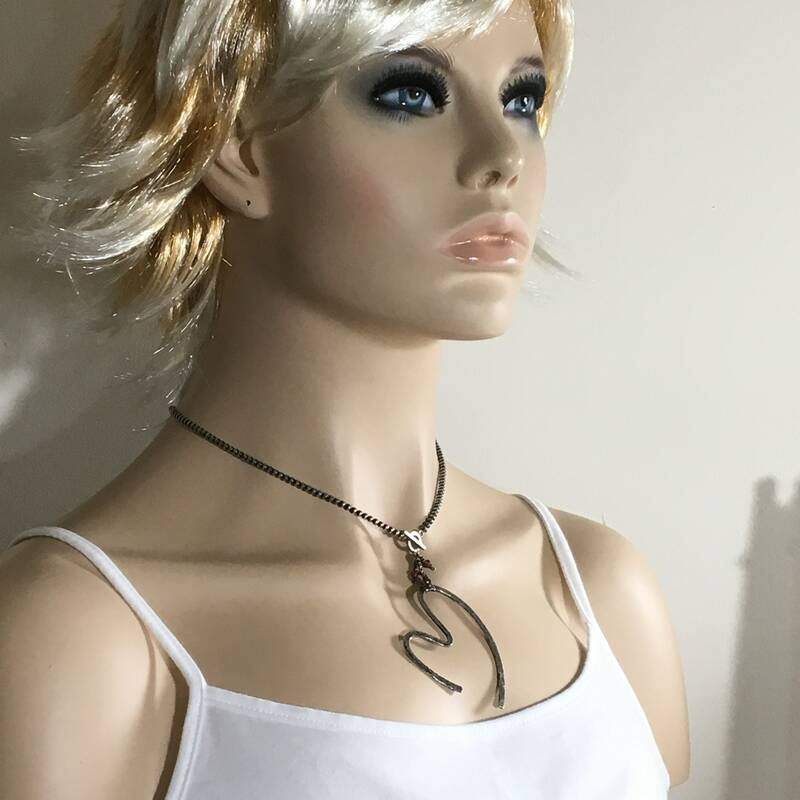 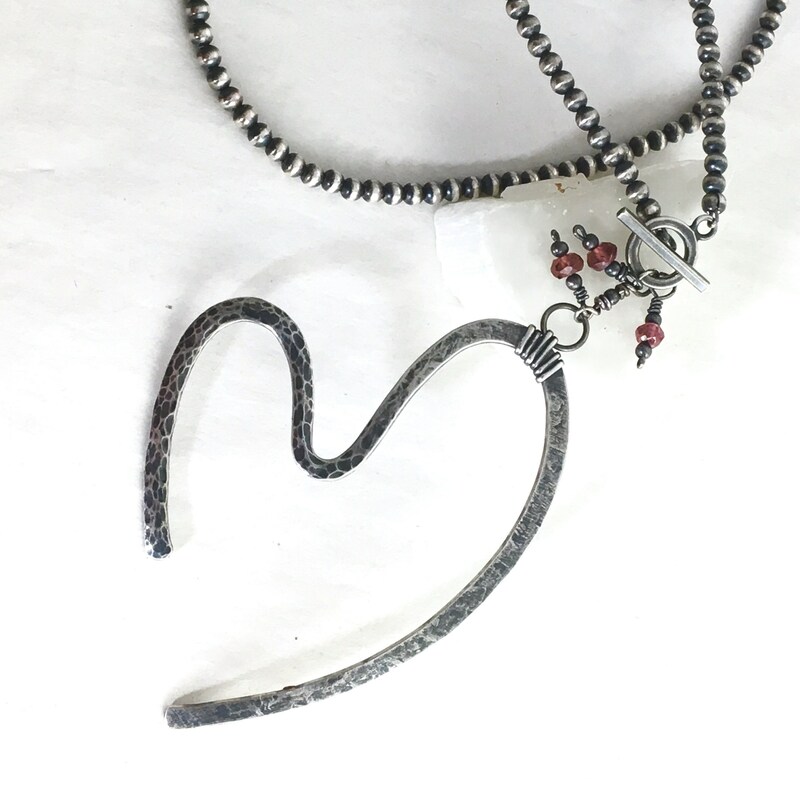 My original chain is made of sterling silver beads that I oxidized and then brushed & polished to create a wonderful pattern of dark and light. 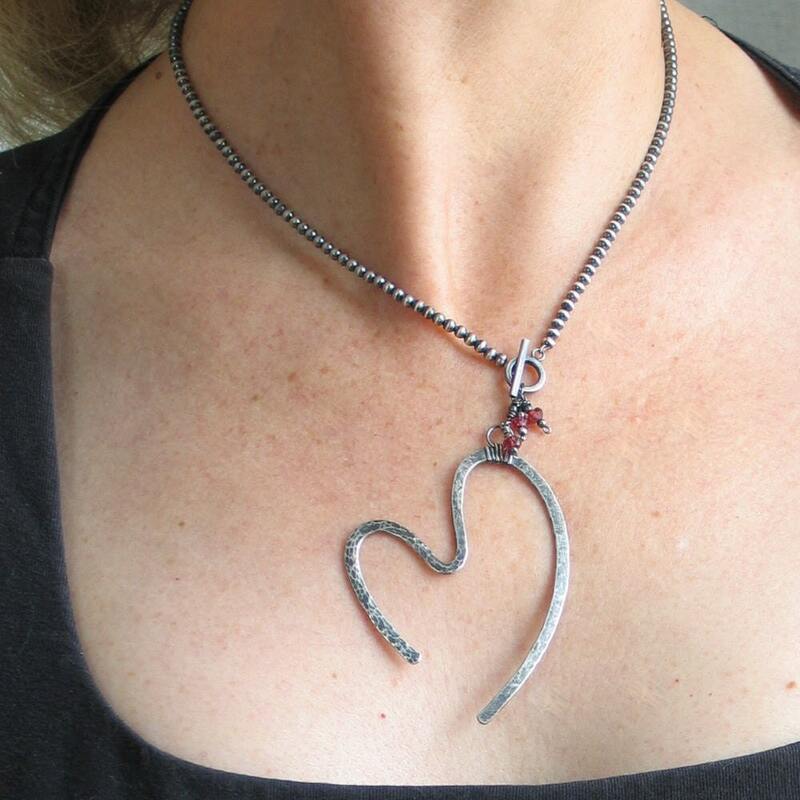 It’s easy on & off with a sterling silver toggle clasp that closes in front. 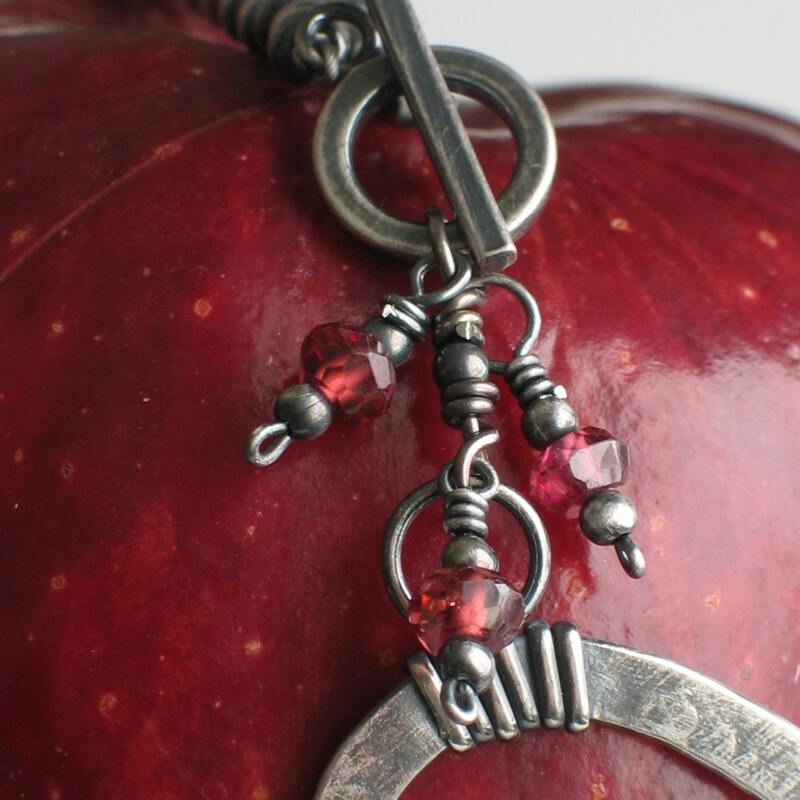 A trio of tiny faceted wire wrapped garnets create sparkle and movement, attached to the toggle and bar fastener. 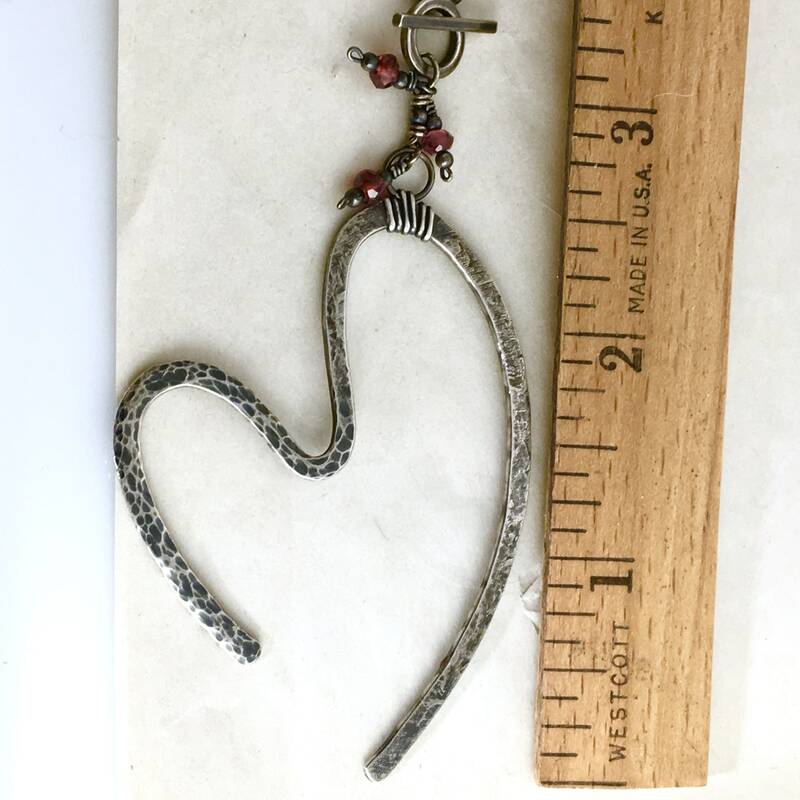 Beaded chain is just under 17" long. 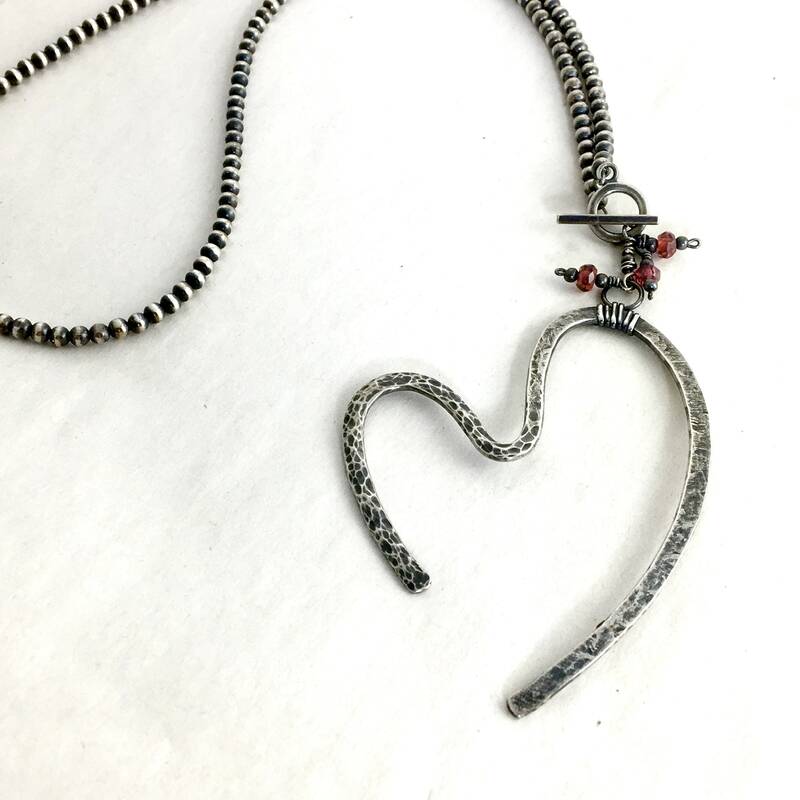 The cold forged heart and garnets drop about 3" below the front closing toggle. 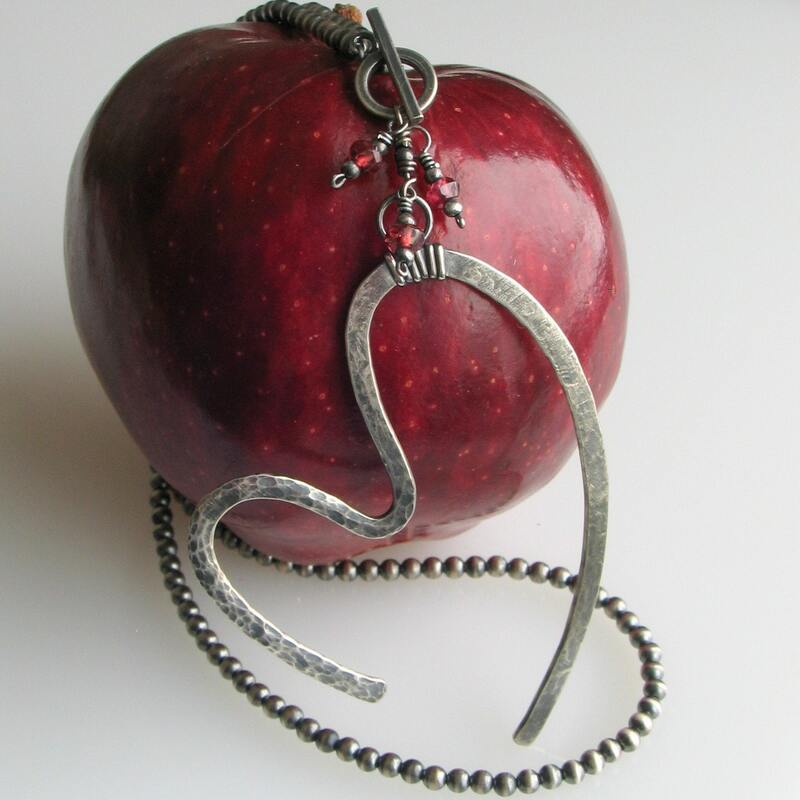 This lovely, one of a kind piece, is delivered in my signature gift box..all ready to mail, and to give and/or to enjoy.